A Change Order – What is it? A change order is a document one gets to perform extra work over and above the original contracted scope of work. It is almost always the result of some discovery once into the project that could not have been seen or realized beforehand. A change order is also called a “CO”. Most companies require a Change Order Request, or “COR”. The COR is from the sub-contractor to the general contractor. This is where one writes up a full detailed report on the findings, why extra work is required, the work to be performed which is in addition to the contracted scope of work and the impact the extra work will have on the project schedule. Then once reviewed by the contractor, the request is accepted or denied. If accepted a Change Order is issued to the sub-contractor and the sub may proceed with the work. You NEVER perform work over and above your contracted scope of work without a signed Change Order. Chances are you will not get paid for the extra work. There is also another way a Change Order can be brought about. It can come from the general contractor to the sub-contractor. This is called a Request for Change Order or “RCO”. This usually happens when the engineers or architects find that what they originally wanted done cannot be done or must be done differently. In this case, you would receive the RCO, do your investigation of the actual details and price the additional scope of work. You would then write it all up and submit it for approval. If you use sub-contractors, there are those out there that you must know about. These subs low-ball the bid for their work just to get the job. Their bids are very vague, and they never list out a specific scope of work for their services based on the drawings or project documents. Their idea is to get the work and then change order the job to death, coming up with some cockamamie ideas on how it wasn’t included in their bid, therefore they are not contracted or under obligation to do it. This becomes a dangerous endeavor all the way along the line. As the contractor you are between a rock and a hard place. Since you priced the project based on that bid, you only have that much money allotted for that scope of work. Now that your sub, or even multiple subs are beating you up for more money – or they won’t finish the project, your only choice is to go back to the owner and try to explain the cost overruns. This will of course get ugly. The outcome is never good for anybody. The owner’s argument will be that it is your fault, and I hate to tell you, it probably is. Chances are you did not perform due diligence on the integrity, performance and reputation of who you were contracting. I remember a project I was asked to bid for the US Army Corp of Engineers acting as the contractor on a hydroelectric dam upgrade project. I spent weeks working with the project manager, giving away valuable insight and information about the project, suggested better means and methods and had a slew of mistakes and missing info added or revised on the plans. There were 11 total bidders. 10 of us were around $1.3 million for the job, all within 10,000 dollars of each other. You can’t get any more accurate than that. 10 separate bids all so close is a testament to each of those companies and the fact they know the project requirements and how they will perform the project to a successful completion. The 11th bidder was at $438,000, about a third of every other company. The project manager told me he had to go with that company because it was his duty to protect the taxpayer’s money. I tried on many occasions to show him the handwriting on the wall. He said he took an oath as a public servant which involves being bound to only accepting the lowest bid. No amount of review of the blatant facts could convince him otherwise. I told him do not call me back when it all gets ugly. I explained that in the bid process I, without cost, enabled my company and all the other reputable companies to formulate an actual and correct proposal for the project and I was not going to waste one more minute helping him. Before the scope of work even began at the site, the “low bid” company held the majority of material hostage for change orders. When they did not get them approved, they filed bankruptcy, went out of business and never stepped foot on the job site. The material suppliers went and took their material back for non-payment. The project manager did call me back to say he should have listened. The project ended up costing taxpayers 2.1 million when it was salvaged, turned around and successfully completed. You MUST qualify all companies before you have anything to do with them. 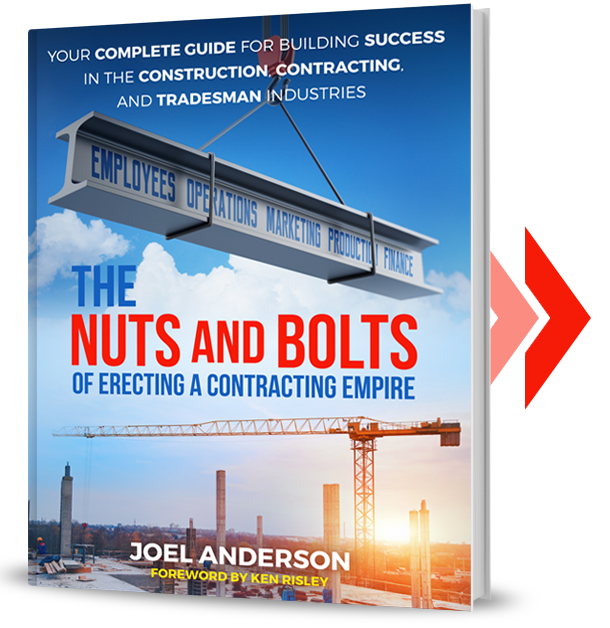 Whether you are in the position of contractor or sub-contractor, know who you are dealing with before you deal with them.